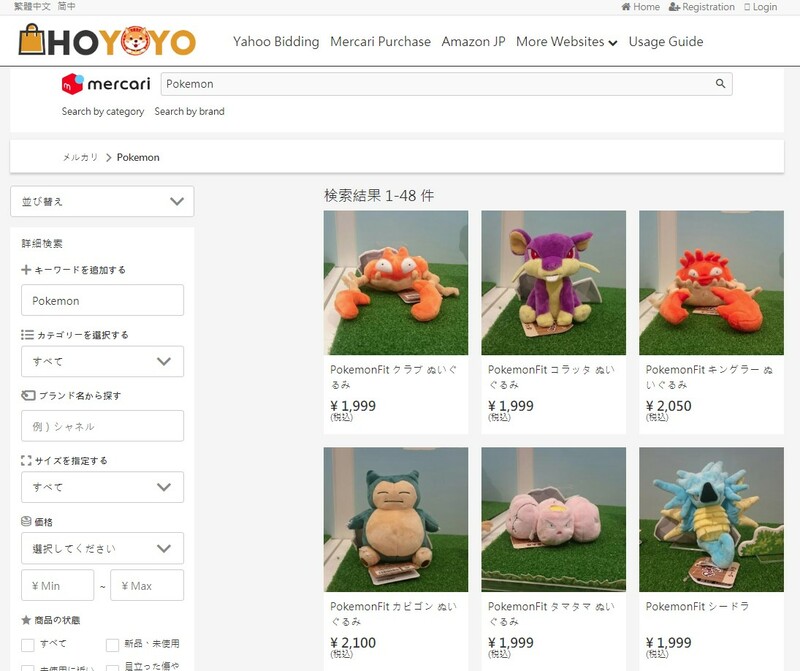 It is well known that Mercari is the number one online flea market in Japanese, but Mercari does not open for international shipping. 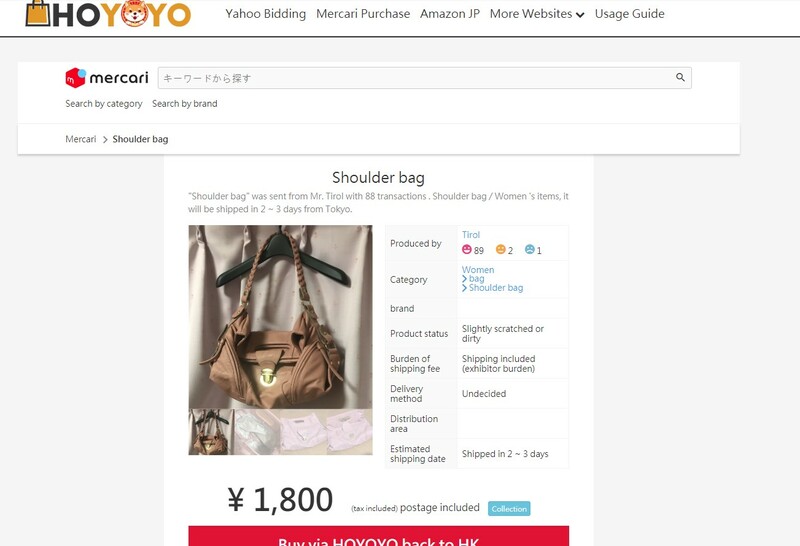 The goods on Mercari are second-hand products sold by individual sellers (like Carousell). It also does not support Overseas bank card / Visa / Master payment, if you want to purchase, you can register a Hoyoyo account to process. Because there is no automatic translation on Mercari, guests are recommended to install Google Chrome browser and add a translate extension. Mercari sellers are basically divided into two categories: individual sellers and professional sellers. There are a number of sellers on Mercari specializing in the sale of Mikihouse children's clothes or Hysteric mini. 2. There are few surrounding areas to be sold, but the general price is very cheap. There are also a lot of medieval papers within 1,000 yen. Most of the products such as children's clothing are relatively low. Let's take Pokemon as an example. 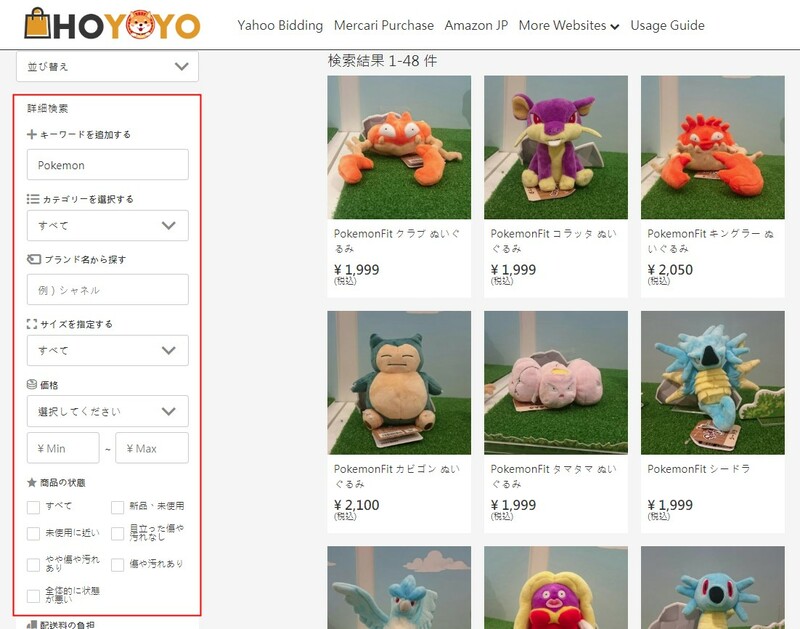 Search will also find a problem, the products that have been sold and sold will be mixed together, this time use the search section on the left. Here the 配送料の負担 means Japan domestic shipping, and most Mercari sellers will pay for this shipping fee, but some of them request for COD (cash on delivery). If you finished searching, and ready to place order, please directly use: Offer via Hoyoyo. 1.How does Hoyoyo charge for Mercari shipping? Mercari sellers mostly pay for the shipping, or else it will be reimbursed for actual expenses. 2.How long does it take for purchasing? 4.How long does Hoyoyo ship out the item?